Celebrate the new marriage with a fun "Wife For Life!" t-shirt! Customize this design with your husbands name, and be ready for your honeymoon adventures! The soft fabric will keep you comfortable for all day wear, and be sure to check out our other products with this design! 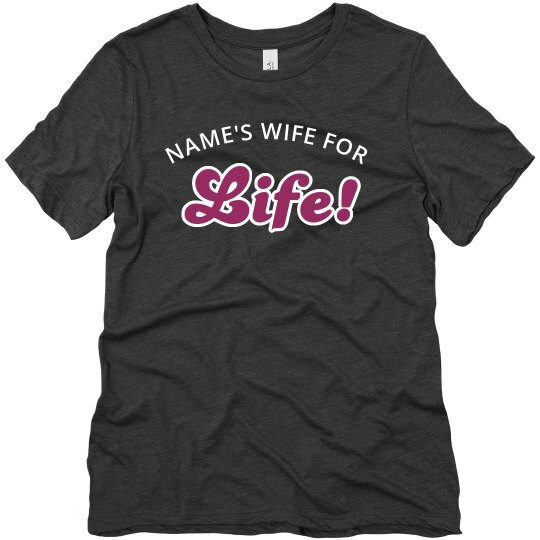 Custom Text: NAME'S WIFE FOR | Life!